Reflections of the outdoors constantly change the ebony landscape created by Lauren Fensterstock in the Ogunquit Museum of American Art. OGUNQUIT — For more than a century, artists have come to Ogunquit for its natural beauty. Led by Charles Woodbury in the late 1800s, they came in droves to paint at Perkins Cove and interpret the quintessential New England seaside village. They captured views from the rocks, the waves rolling in and the summer people strolling the beaches. Pretty pictures, all of them. Lauren Fensterstock works on installing the garden she created for the Ogunquit Museum of American Art. Its Plexiglas squares reflect the changing light and colors from outside. A paper flower, based on a waterlily, from Fensterstock’s garden in the museum’s sculpture gallery. Lauren Fensterstock is not part of that tradition. A skilled maker with a background in jewelry, Fensterstock, 36, arrives at her art more from the tradition of craft than the painted canvas. A few years ago, after purchasing a small house in Portland, she planted a garden and became interested in landscaping and cultivation. 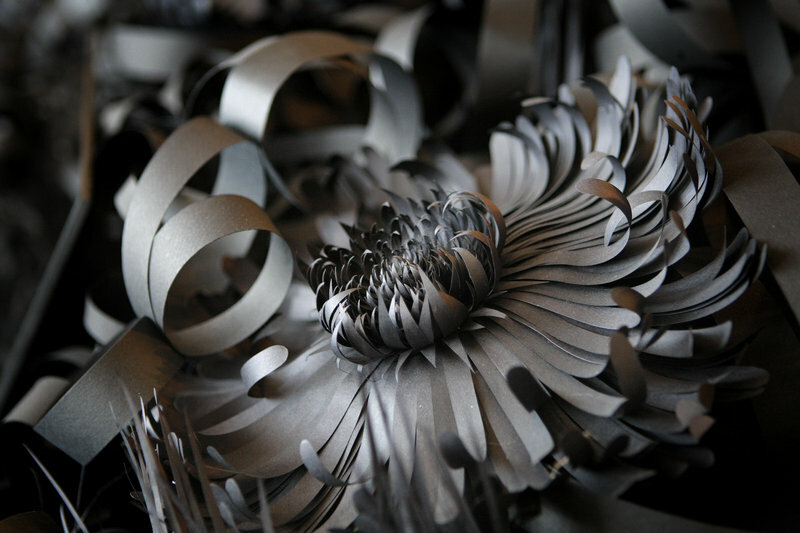 With that newfound domesticity as her motivation, she constructed mums, daisies, asters, lilies and other flowers from black drawing paper and began using them in her art. Her project grew in size and scope, and has dominated her art-making practice almost exclusively since 2007. 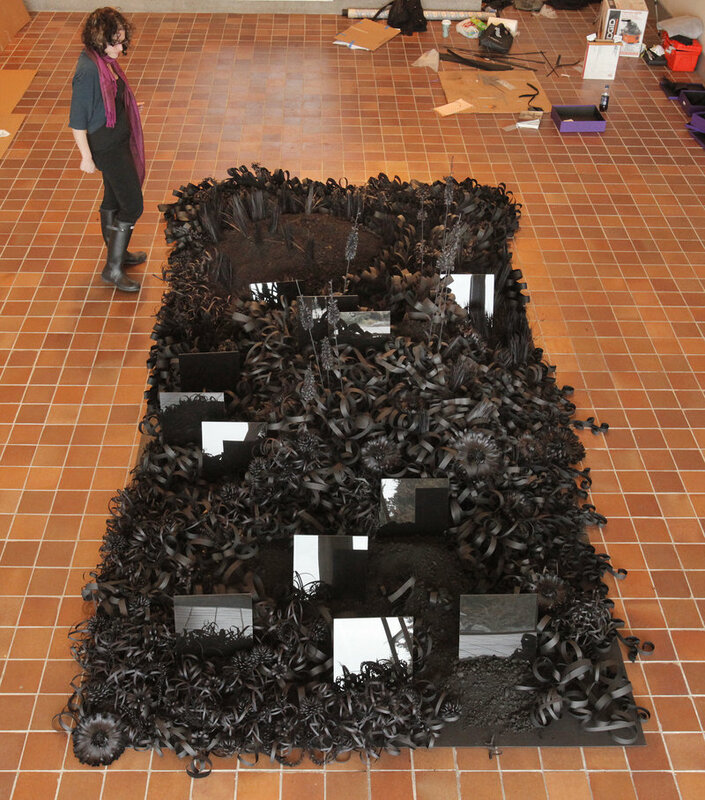 When Ron Crusan, director of the Ogunquit Museum of American Art, suggested Fensterstock have a go at the museum’s interior sculpture gallery that overlooks an outside garden and the ocean below, she knew immediately what to do: she created a 7-foot-by-14-foot garden with copious amounts of black paper, glue and crushed charcoal. Emerging from the floor, Fensterstock’s interior garden installation is the centerpiece of the museum’s season-opening quintet of shows. The museum begins its exhibition season May 1, the earliest it has ever opened. Fensterstock calls her piece “Incidents of Garden Displacement,” a nod to earthworks artist Robert Smithson. In 1969, Smithson created “Incidents of Mirror-Travel in the Yucatan” using a dozen 12-inch-by-12-inch mirrors to reflect the light and sun. For this installation, Fensterstock borrowed Smithson’s idea. Instead of mirrors, she placed a dozen reflective, black Plexiglas panels throughout her paper garden and faced them toward the sea and sky. On a sunlit day, the mirrors in her garden space reflect the brilliant colors of the outdoors beyond a bank of windows. On overcast days, the square panels bring the clouds inside. Despite the lack of painterly tradition in her work, Fensterstock feels very much connected to artists like Woodbury, who arrived in the late 1800s and began the art colony that gave Ogunquit its presence in the larger world. “Ogunquit is a place people have come to make work about the landscape. It’s exciting for me to come and advance that conversation,” she said. In addition to her work as an artist, Fensterstock is also academic program director of the master of fine arts program at the Maine College of Art in Portland. She lives in Portland with her partner, artist Aaron T. Stephan. 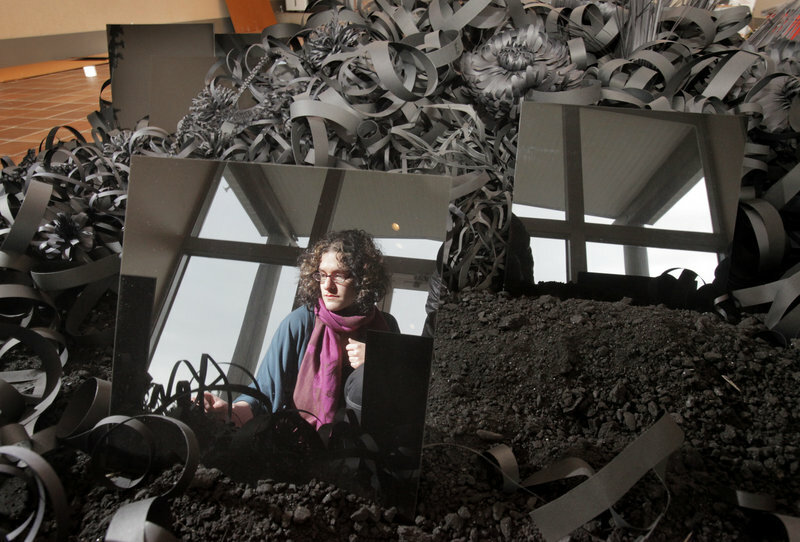 This is the second year Crusan has given over the museum’s sculpture gallery to a contemporary Maine artist. Last year, Harpswell sculptor John Bisbee installed several columns made from steel spikes. For a museum steeped in tradition, these temporary installations by active Maine artists represent a major break and risk. 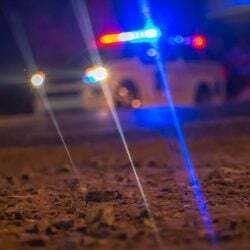 Crusan, who began this job two years ago, received some push-back when he showed Bisbee’s work last year, and expects more of the same for Fensterstock’s piece. “Traditionally, our programming and our audience have been pretty mainstream, which is fine,” he said. “I started showing Bisbee and Lauren because I wanted to show some of the most interesting artists working in Maine today. They’re doing great work, and they demonstrate to our audience what’s going on out there. With Fensterstock’s garden, the subject is familiar. The Ogunquit arts community certainly can relate to flowers as a motif. Her installation would work well alongside Beverly Hallam’s colorful and highly realistic flower paintings, which often hang on these gallery walls. Aside from the meticulous nature of her work — a 10-inch frond requires 10 hours of work to create — perhaps the most striking aspect of Fensterstock’s installation is the color black. Her garden is solid black, from top to bottom, with the only deviation coming from the reflecting panels. She enjoys the monochromatic feel of the work. It’s minimalist and “decadently ornamental,” she said. But the idea of using black in her work goes back to Claude Lorrain, a 17th-century landscape painter. The Claude glass, a small mirror with a tinted dark surface, is named in his honor. Artists used black mirrors to abstract a subject from its surroundings, reducing the range of color and giving it painterly qualities. Fensterstock’s black reflecting panels accomplish much the same effect. Somehow, the idea of the Claude glass from the 18th century and Smithson’s use of mirrors in his Yucatan piece in the late 1960s made for an appealing pair of influences, she said. The Ogunquit piece represents Fensterstock’s first Maine exhibition since 2008, when she installed a similar garden at the Bowdoin College Museum of Art in Brunswick. The installation in Ogunquit is larger and more complex, with more elements. In the years since the Bowdoin installation, Fensterstock has been making flowers out of paper like a mad woman. She intends to continue “until I run out of paper. I am still full of questions,” she said. “I love it. I am obsessive, and I love focusing on these tiny parts, and I love making things.